Fucanje: a traditional Easter game of money, money, money! 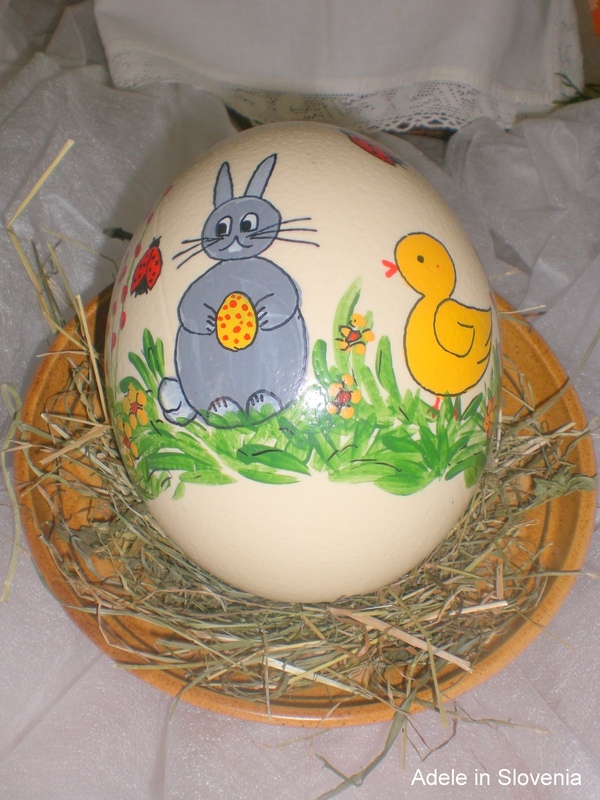 The game of ‘fucanje‘ traditionally takes place at Easter in Slovenia. It involves players, all male, competing in a coin throwing contest, each aiming for their coin to land closest to the target. The winners then ‘takes all’! 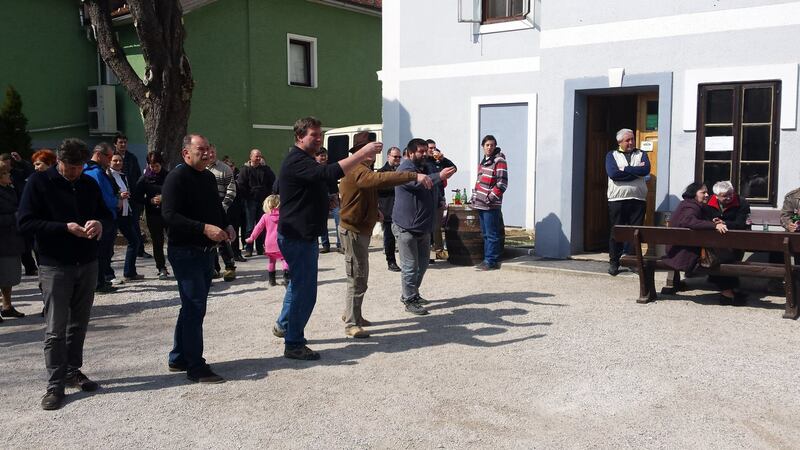 On Easter Sunday in the municipality of Radovljica ‘fucanje‘ took place outside the cultural centre in the villages of Mošnje and also in Begunje na Gorenjskem behind the Tavčar restaurant. It’s nice to see these kinds of traditions being upheld, and the events always draw quite a crowd. 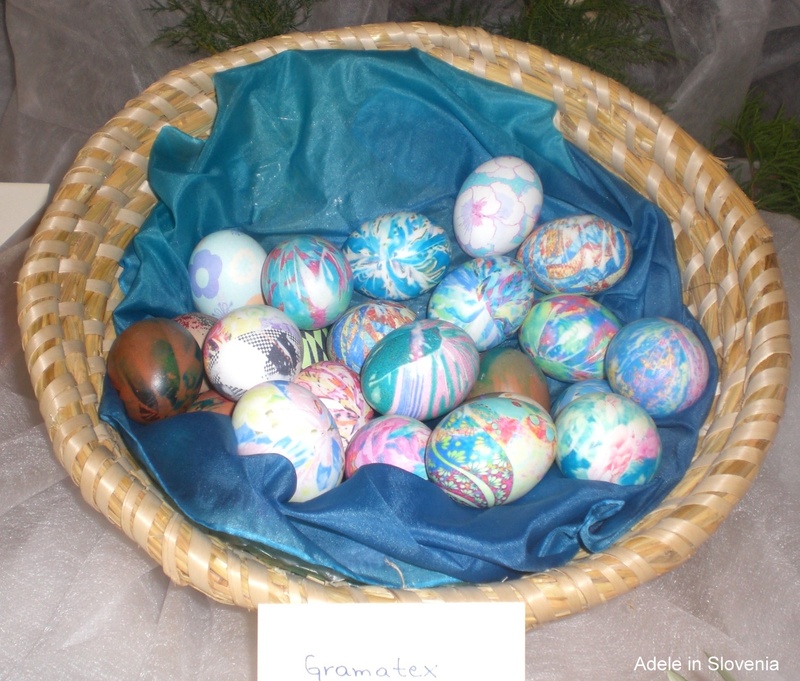 At the cultural centre in Mošnje there was also an Easter exhibition of coloured eggs, known as ‘pirhi‘, created by children from the local school, as well as an exhibition of lacework produced by the Železniki Pensioners Association. There were coloured eggs of all shapes and sizes. These ones were produced using a silk technique. 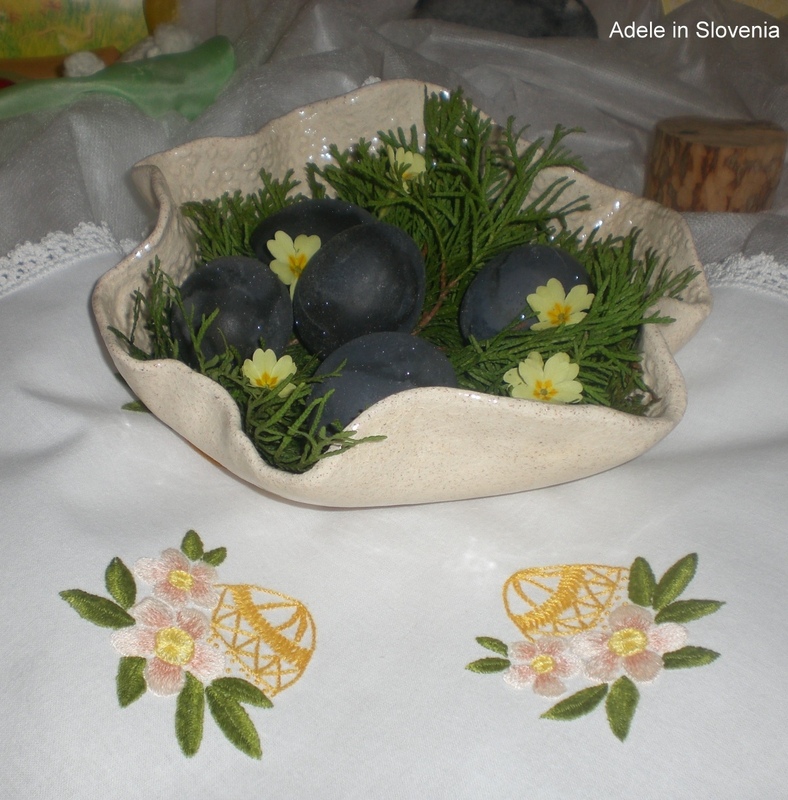 These were dyed using teran wine. Apparently it doesn’t affect the taste – shame about that! This one’s an ostrich egg! 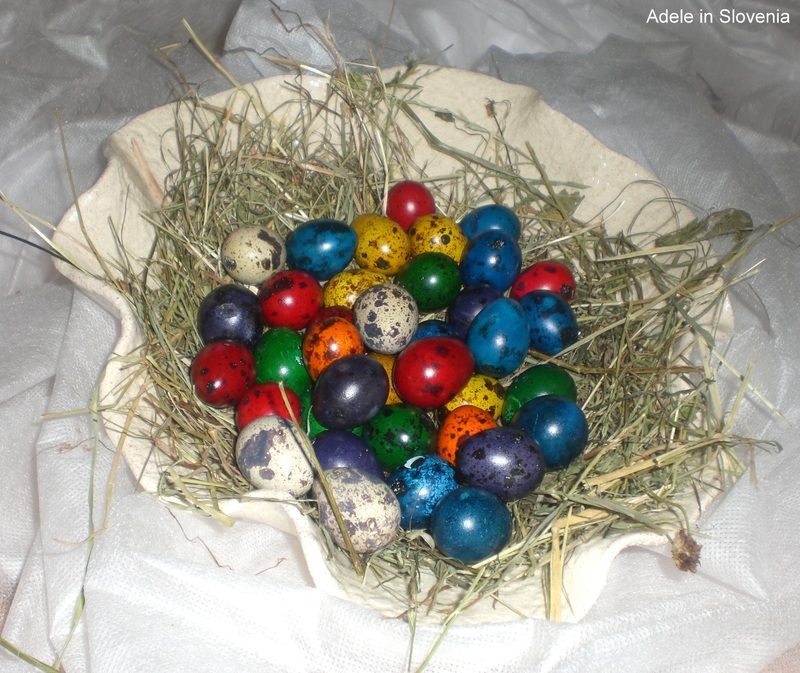 And these cute little coloured eggs, which must have involved a painstaking amount of work, are quail’s eggs. 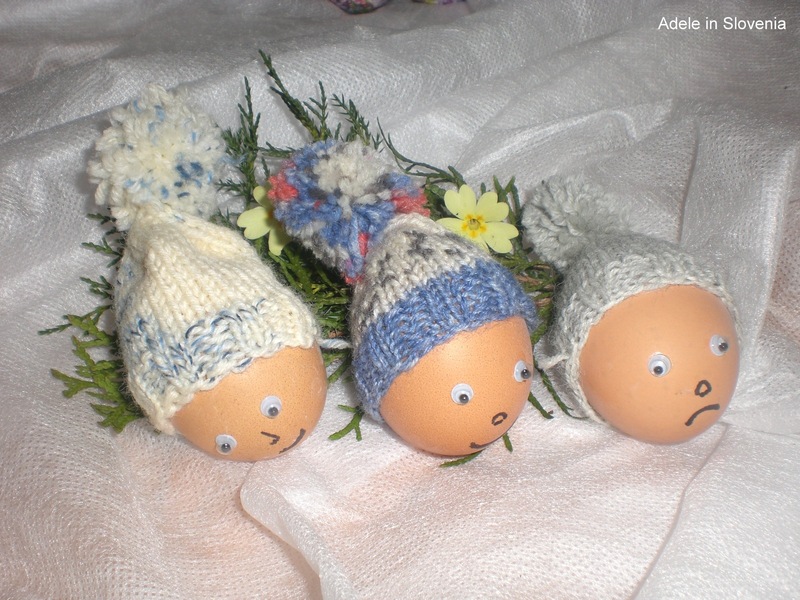 These ones are just plain old eggs, but I couldn’t resist them! « 2 Records and a Rant! 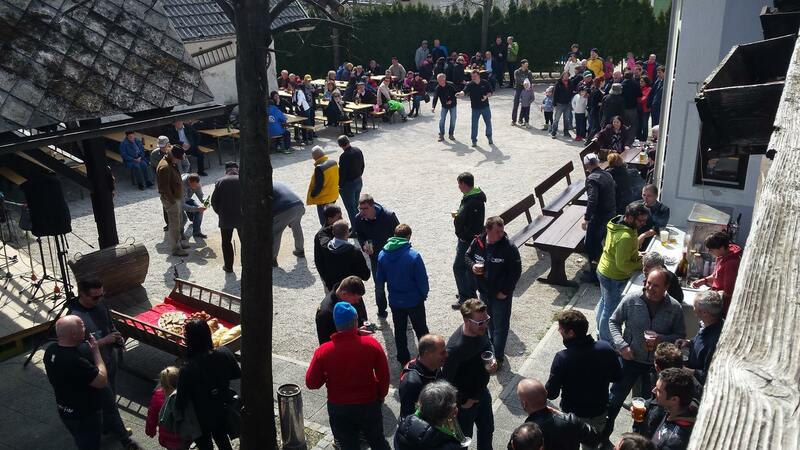 In our village in the West of Slovenia for Fucanje our local bar provides coloured hard boiled eggs and teams of three compete to score the most points. Five coins each, five rounds and points are scored as half a point for a hit, one point, and great celebration, if the thrower gets the coin to lodge in the egg. Great fun for villagers and visitors alike and great to see lots of children running around enjoying the day. All followed by food at the bar and, of course the odd glass or two of lemonade. Great tradition. Sounds great Jeff! Where exactly is that? Thanks for the feedback!